Broadly speaking, there are two ways to use effects in music production – as mix tools, or as creative processors. These two applications are effectively the polar opposite of one another. The former is all about transparency – trying to improve the sound of an audio signal without making it obvious that an effect has been used on it. When it comes to creative processing though, the sound of the effect is precisely what we’re after. Whether that’s the spaced-out ambience of a long, drawn-out reverb, the wobbling repeats of a vintage delay, or the harmonically rich crunch of an analogue reverb. It’s these creative effects we’re focusing on in this issue. This month’s two main tutorial features are all about finding new and exciting ways to push sounds as far as you can, to create out-there, ear-catching results. First we’re deep-diving into the realm of delay, looking at ways to take this classic effect to the next level. 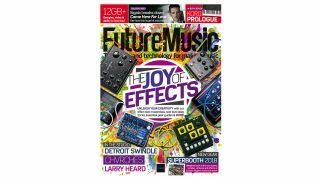 Then in the latest Producer’s Guide, we take a look at designing custom effect racks, and ways to use multiple processors to achieve unique and custom sounds. 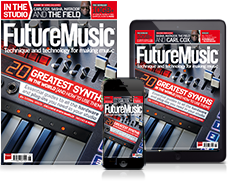 In Print: Find FM on your local news stand or order your copy direct from us! Analogue FX – Classic synth whooshes, risers, downers and spaced-out sounds. Add some old-school impact to your projects with our FX bundle! Access the FM sample archive: Download the ‘Archive’ packs and get over 12GB of loops, hits and instruments from our back catalogue of high-quality and royalty-free samples. From vintage synths and drum machines to esoteric instruments and FX – think of it as our best of. All the samples you need to create great music!